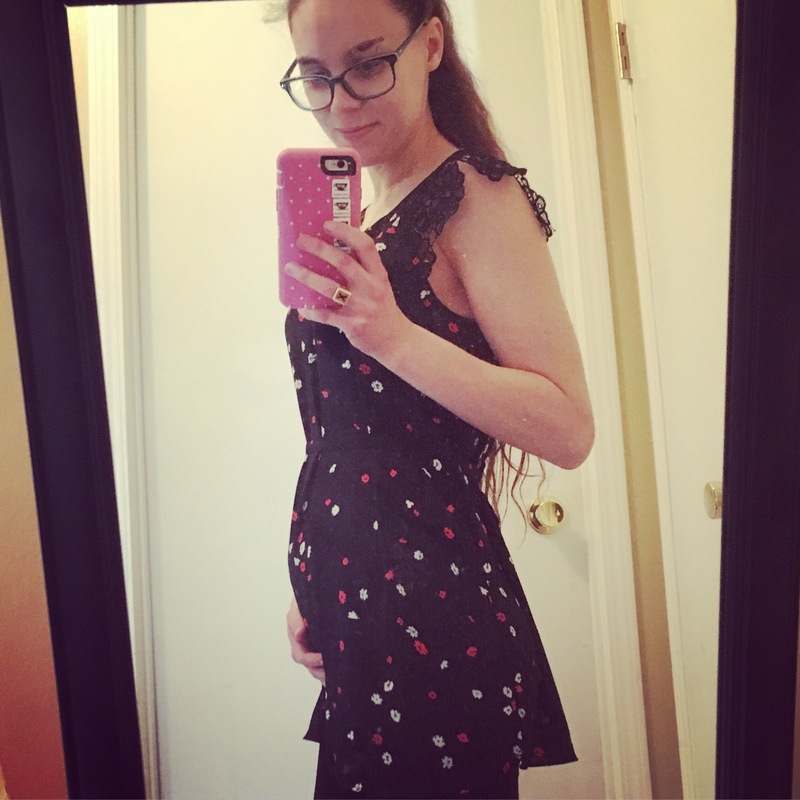 I’m on my way through my second trimester, and while I don’t know where the time went since I found out I was pregnant months ago, I’m starting to figure out this ‘pregnant thing’ as I go along. While there is still a waiting period until you get to hold your baby in your arms, your life changes instantly! Your body is changing, hormones are firing at full force, and your habits turn towards nurturing this unborn child. While I had a general idea on what being pregnant was going to be like, there are a few things I did not expect! 1. Exhaustion – my energy has not come back yet in my second trimester. I was lucky enough to have very mild morning sickness, but I am constantly tired. I was heading to bed most nights at 9:30 PM, and not making it out of bed until at least 8 AM, and still feeling exhausted! I am looking forward to the day where my energy comes back, but it might be when this child goes to University! 2. 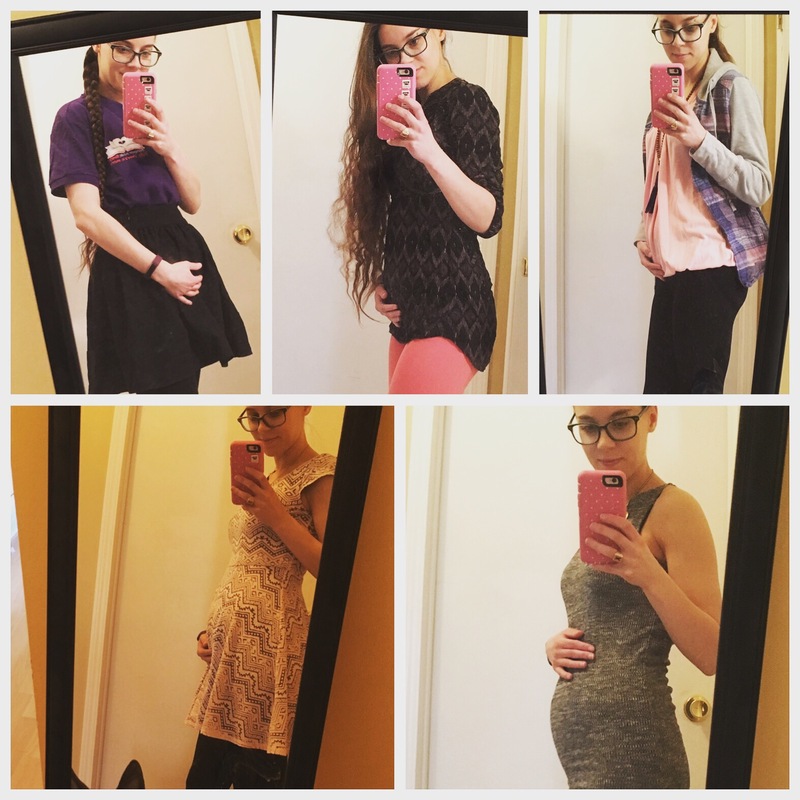 Muscle pain – just before I got into my second trimester, my belly had a growth spurt, and it hasn’t looked back yet! Every since I’ve been experiencing so much Round Ligament pain, it’s ridiculous! I’ve always been a small person, and I’ve already surpassed my heaviest weight, my body is having a hard time coping! My hips feel like they are trying to leave my body, and any day with a lot of movement ends up in me being sore on the couch that evening! Unfortunately, a few people have taken to make fun of me for it, because I shouldn’t feel this sore so early, but I can’t stop my body from expressing pain if it feels it can I? I can manage the pain, consult my doctor and my chiropractor, but if it hurts, my body is going to hurt. 3. My belly size fluctuates day-to-day – I figured that my belly would get progressively bigger as my pregnancy progressed, but there are days my belly looks tiny, and other days it looks huge! I took a belly picture every work day last week to show how it fluctuates day to day. As you can see the day with the pink leggings, my baby Bump doesn’t look very big, but the day with the grey dress, it looks huge! 4. All of a sudden, being pregnant became my whole identity – all anyone wants to talk about now is my pregnancy, the baby, and what kind of parent I’m going to be. For some people, the person I was before my pregnancy seems to have disappeared, she’s still there! I promise, she just doesn’t drink anymore and is sore and tired! 5. 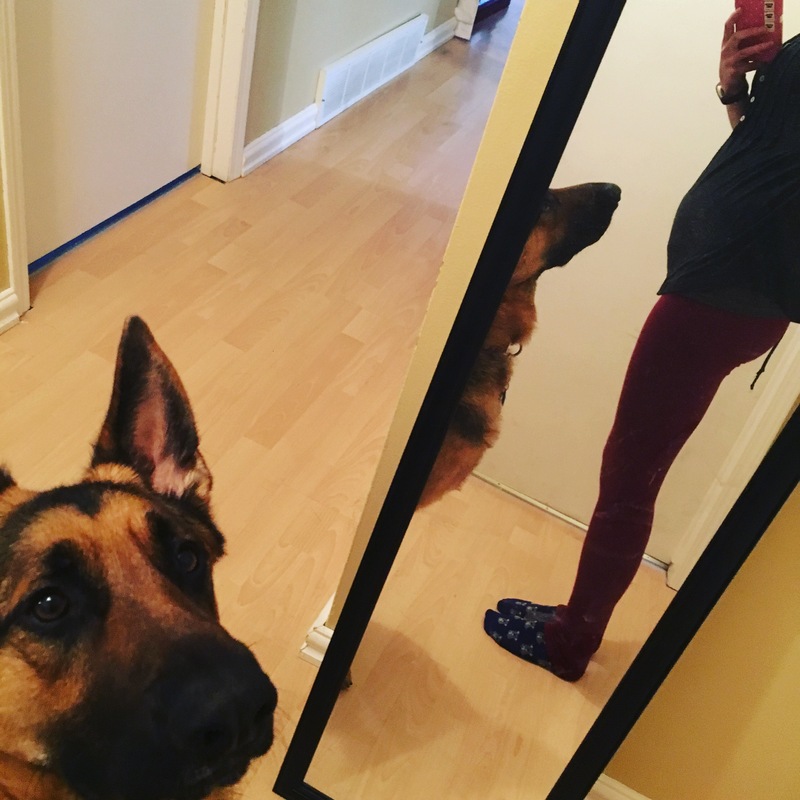 My dog would change – Bomber triggered me going to take a pregnancy test, he all of a sudden changed the way he acted around me. Not the usual cuddler, he would cuddle with me constantly, started playing more gentle and took to giving me the sniff down any time I came home or woke up – as if my scent had changed. I now have him laying on my belly, reacting to what I assume is the baby moving, getting a belly inspection several times a day, and not really allowing anyone (person or dog) unfamiliar near me. 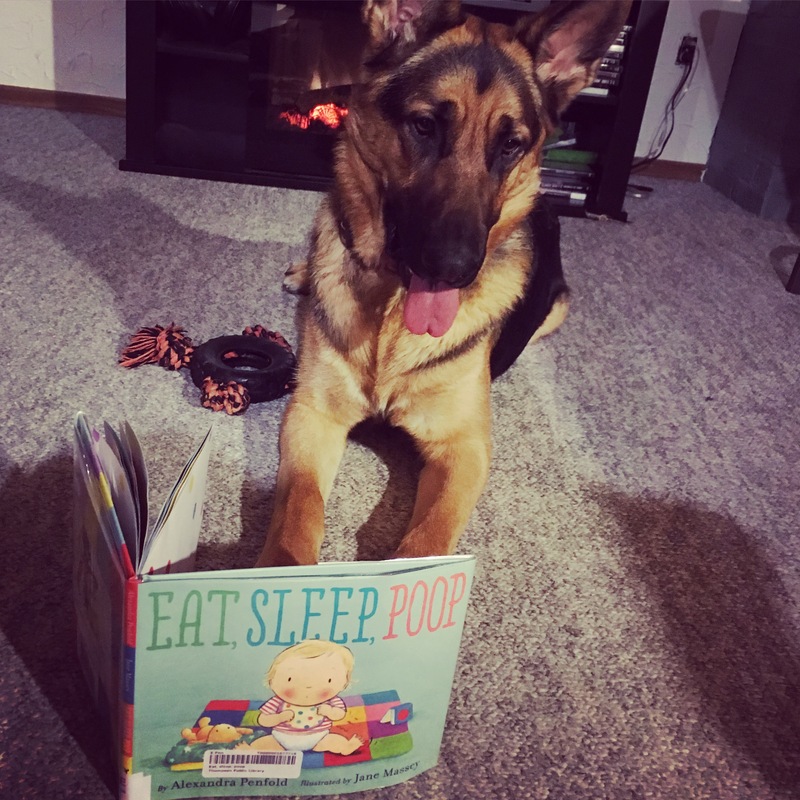 Bomber has become my super protector, and we cannot wait to see him in action as a big brother! Mamas! 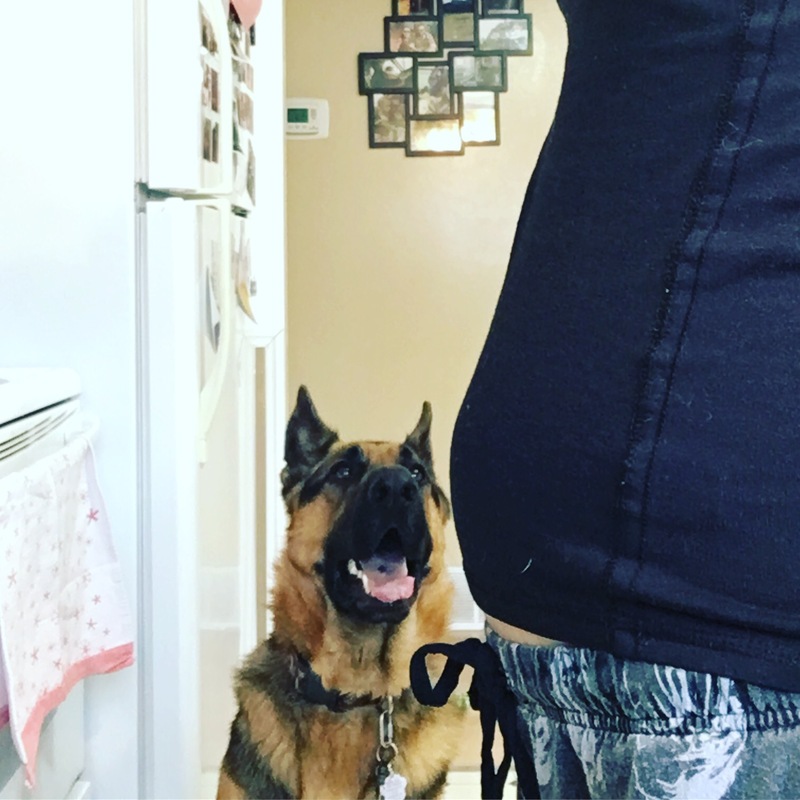 What were your most surprising things during your pregnancy(ies)? Let me know in the comments! Previous Post Tips for Hand-made Christmas. Next Post Preparing for baby – why is everything SO gendered?! ?